View More In Roller Seats & Creepers. 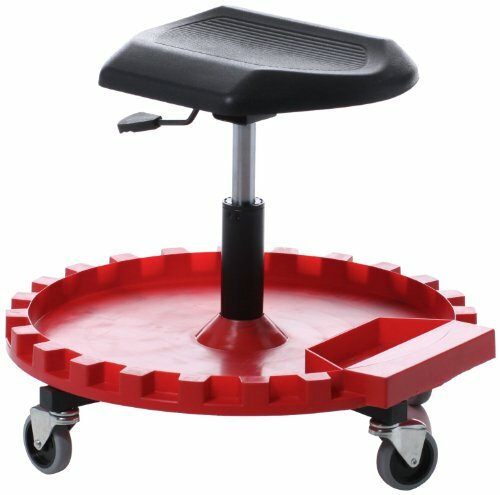 Traxion Row Seat with 2.5 inches casters is designed to provide comfortable and productive access for many shop tasks. The 2.5 inches casters provide good mobility and the row seat is contoured and padded upholstered to be handsome and comfortable. The spinning gear tray has a handy ruler and a standard metric gauge. From automotive tools that make the mechanic more safe and productive to truck accessories that improve accessibility, Traxion engineered products will continue to support the needs of their customers. If you have any questions about this product by Traxion, contact us by completing and submitting the form below. If you are looking for a specif part number, please include it with your message.